With over 100 places to stay on the party island, the selection of accommodation in Gili Trawangan will leave you clicking between just as many browser windows as you hesitate to commit to a booking. Let us break it down for you. 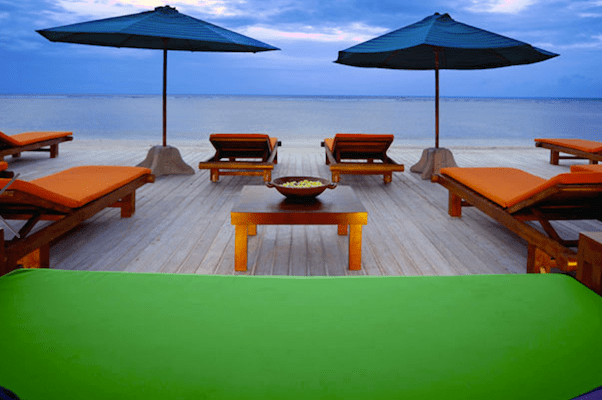 Here’s a curated list of the top 35 resorts, hotels and bungalows in Gili Trawangan. If you’re looking for an intimate slice of paradise, then you’ll want to retreat to a boutique resort. Recently built and set away from the crowds, these gorgeous island resorts offer guests mouthwatering fine dining experiences and detoxifying juices for the daytime. Because we all need to balance an indulgent island escape with one’s healthy holiday resolutions. Expect to pay upwards of US$150 per night in low season, but in contrast to beach resort rates around the world, this really is a small price to pay for paradise. 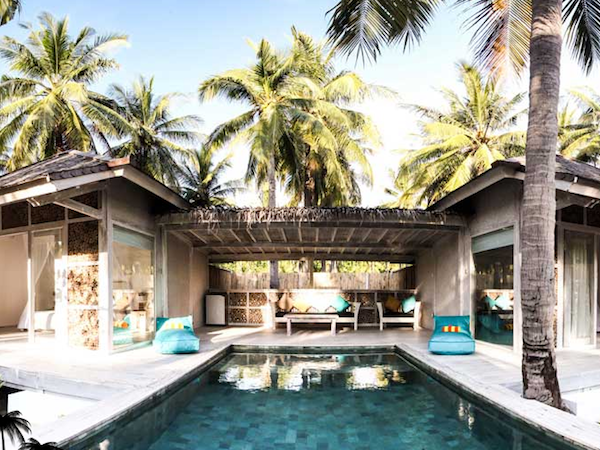 Ko-Ko-Mo gets our vote for most stylish boutique resort in Gili Trawangan. 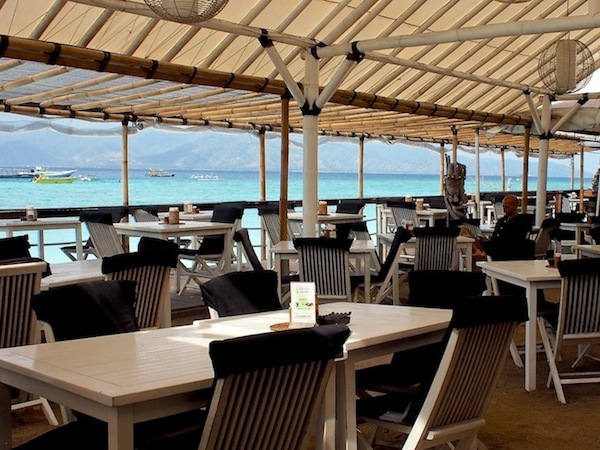 It features a fine dining beachfront restaurant set just off the busy Gili Trawangan strip, so you’re never far from the action. The contemporary villas are absolutely divine, and raised above the beach so you can retreat into delicious privacy and own these sweeping views. Who it’s for: trendy couples, uptown families and burnt-out execs. Hands down the best retreat on the island, that’s located well away from Gili Trawangan’s nightlife, and yet within easy walking distance to the shops, cafes and restaurants near the boat landing. Retreat to an elegant pool villa after a spot on meal at the snazzy French restaurant. Rates are just IDR3,250,000 in high season for a private pool villa which accommodates up to six people. Scallywags Gili Trawangan is an island institution. Rooms are bright, breezy and feature outdoor showers, because that’s exactly the sort of thing we want to do on holiday. In the evenings, a generous selection of fresh seafood, imported steak and sizzling grill draws in the crowds. There’s always something interesting to do, see or discover here. You couldn’t ask for more. A unique and secluded ethnic village where you can experience the charm and allure of Indonesian traditions and personalised service awaits you. 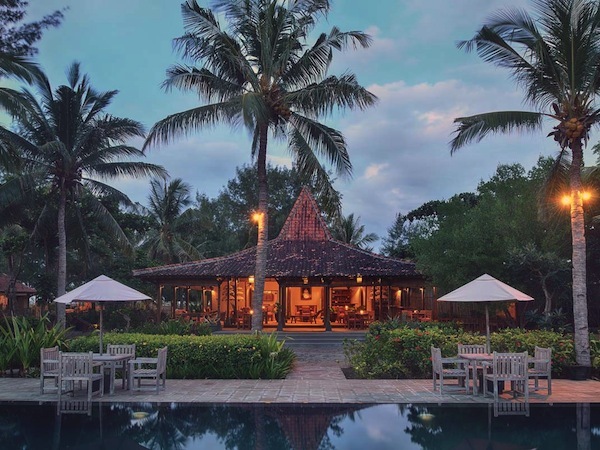 Sprawled generously over 15,000 square meters of exceptional beachfront are just twelve teak traditional houses. 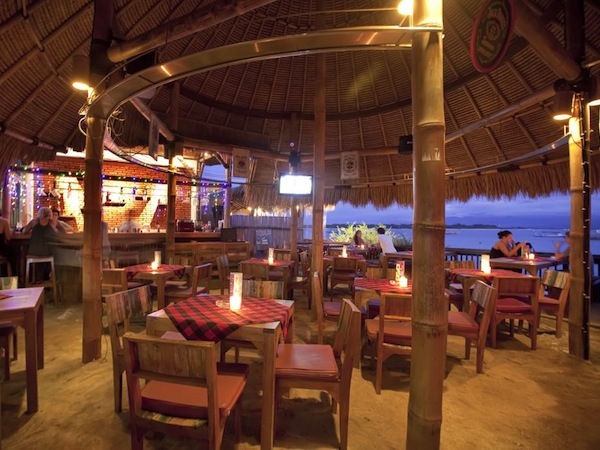 Treat yourself to the best that Gili Trawangan has to offer. 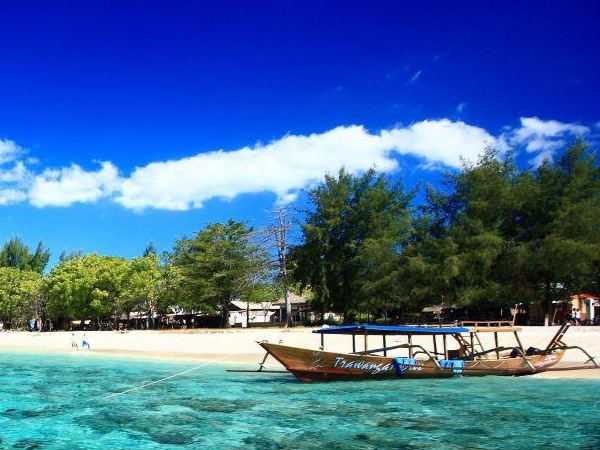 Desa Dunia Beda, Gili Trawangan, Tel: +62 370 6141 575 or email ddb@desaduniabeda.com. Visit their website at www.desaduniabeda.com for special offers. A retreat for leisure travelers with a taste for style, comfort and intuitive service interweaved with respect and admiration for local traditions. 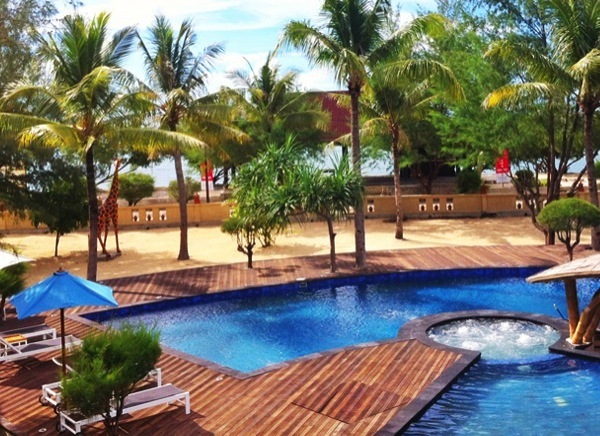 This resort is perfect for a short break or an extended family vacation. Showcasing stunning sunset views from your private terrace, the massive outdoor pool, or the sundeck. Leave your cares at the door and take it all in. Paradise. If you’re looking for a resort that’s right in the centre of Gili Trawangan’s action, in the day and at night, then Gili T is the spot for you. 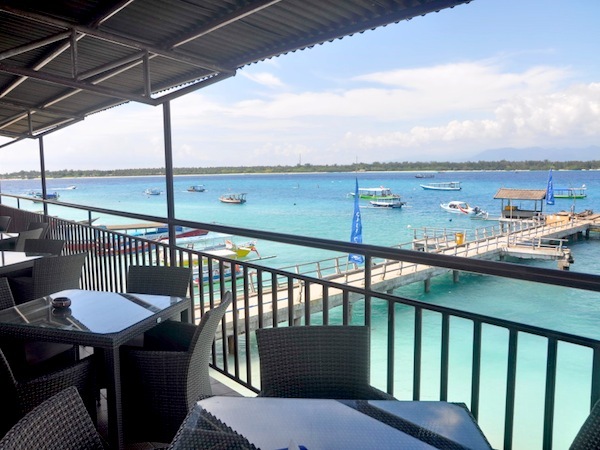 The restaurant and bar, The Terminal, is a popular haunt on the island, and overlooks the clear waters and Gili Trawangan’s jetty. Surrounded by a handful of spas, restaurants, and shopping boutiques, you’ll keep the missus entertained while you unwind by the pool, or over a tranquil beer at the bar. Villa Grasia’s twenty three elegantly furnished deluxe cottages have an open-air terrace, a spacious bedroom, and a well-appointed bathroom with a private courtyard. This beautiful resort brings together an enticing blend of spacious cottages and excellent dining and spa facilities. Ever wanted to go glamping? 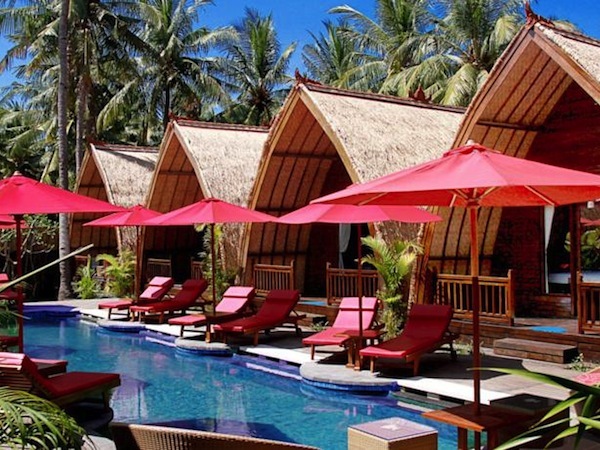 Then a stay at La Cocoteraie’s luxury tented resort in Gili Trawangan is not to be missed. Return to nature with the luxury and comfort of a chic hotel. 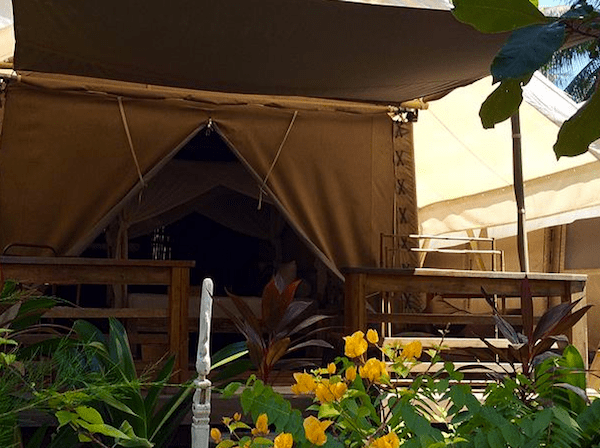 Situated in a beautiful coconut plantation with only 8 tents, the Ecolodge brilliantly combines the outdoor vacation, exotic living and respect of the environment. The kids will adore sleeping in the tented rooms, and mum won’t have the hassle of preparing for a camping trip. Everybody wins! La Cocoteraie Ecolodge, Gili Trawangan, Tel: +62 81 907 976 985 or email: lacocogili@gmail.com. Visit their website at www.lacocoteraiegili.com. Opened in 2008 by Lucio e Antonio Sodano, Luce d’Alma Resort & Spa has all the facilities and creature comforts you could wish for on a tropical island. 16 large rooms open out on to a magnificent pool that sparkles in the day, and night. Also at your doorstep: one of the finest Italian restaurants on the island. Gili Trawangan villas offer more privacy than hotels and some of the resorts as they accommodate less guests. There’s always an interesting cocktail menu to get through, albeit a touch more pricey— it’s totally worth it. 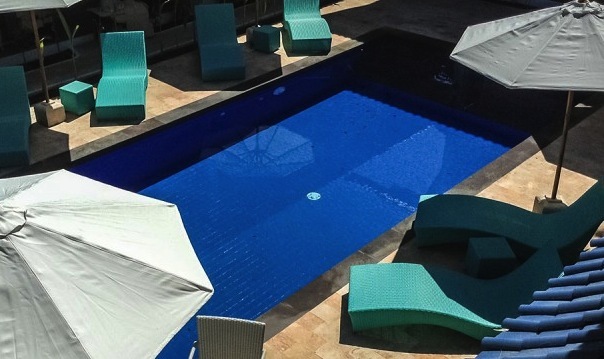 Rates for two bedroom and three bedroom villas start at around US$250-300 per night; and under US$100 per night for a private one bedroom villa. Definitely value for money for families and couples travelling with other couples. Nestled in a coconut plantation just 100 meters from a white sand beach lies a quintessential island villa resort. 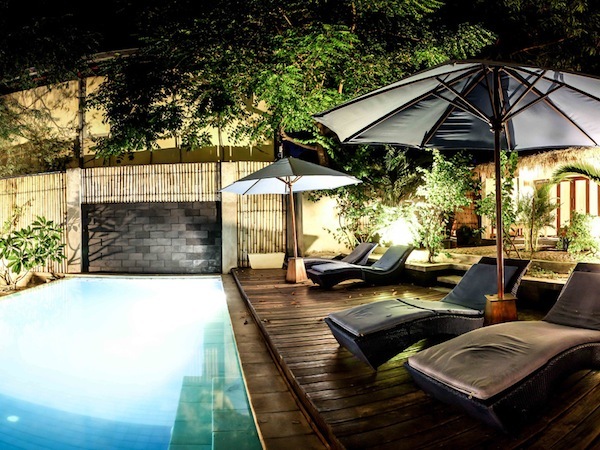 Constructed by local craftsmen in the traditional Sasak style of architecture and stylishly appointed with contemporary decor and private swimming pools. It’s the perfect place to unwind and forget about the troubles of the world. 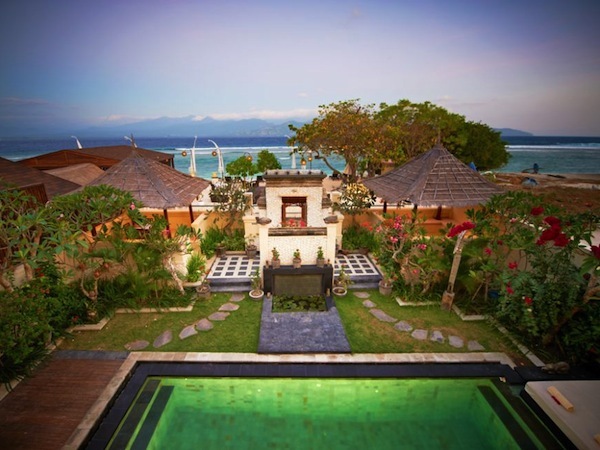 A cluster of 23 private villas, each with a fresh water plunge pool is located in the heart of Gili Trawangan. Black Penny Villas is a great option for those wanting a slice of island life, without moving very far to seek out authentic dining. 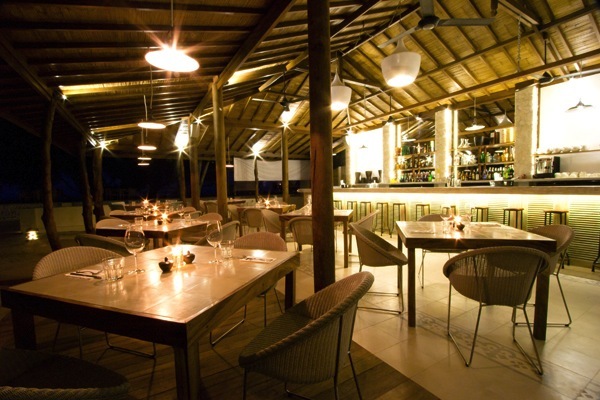 The charming restaurant serves great food, in an uncomplicated setting with a stunning view of the ocean. Promotional rates in low season are less than US$70 a night for a one bedroom villa. That’s a pretty sweet deal considering that’s how much rustic island bungalows charge (without the mod cons). 20 luxurious one and two bedroom pool villas, tucked away from the hustle and bustle of Gili Trawangan where everything is arranged for you. From free boat landing pick-ups to complimentary bicycle rental and continental breakfast. It’s immaculate island living that feels like home, if home were a tropical island resort. We wish! For some, the sun, sand and sea are enough. 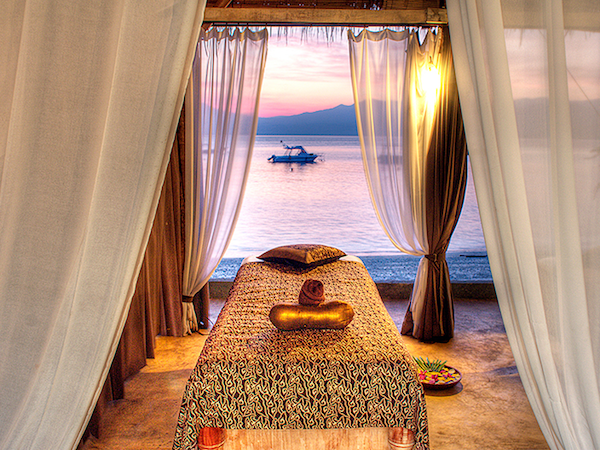 Others want to retreat to an island paradise and be pampered in a divine spa resort. These guys offer quality massages and beauty treatments, as well as accommodation and spa packages, which are always worth signing up for if you want to be utterly spoilt. Isn’t it time you booked that well deserved spa vacation? This five bedroom villa is designed for modern tropical living, and intended to make you feel right at home on the island. Rent one room, or the whole property for an unforgettable family holiday. Communal areas are built around the property, so that you can laze by the pool or watch TV in the large wooden joglo. Appointed with the finest furniture and traditional art, you might never want to leave. 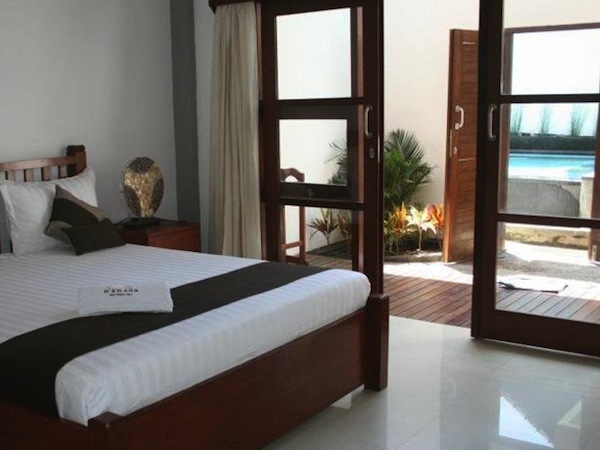 Gili Exotic Villa, Gili Trawangan, Tel: +62 819 1744 6052 or visit their website at www.giliexoticvillas.com for bookings. Choice beachfront villas, with direct access to crystal clear waters and a superb snorkeling spot in Gili Trawangan. 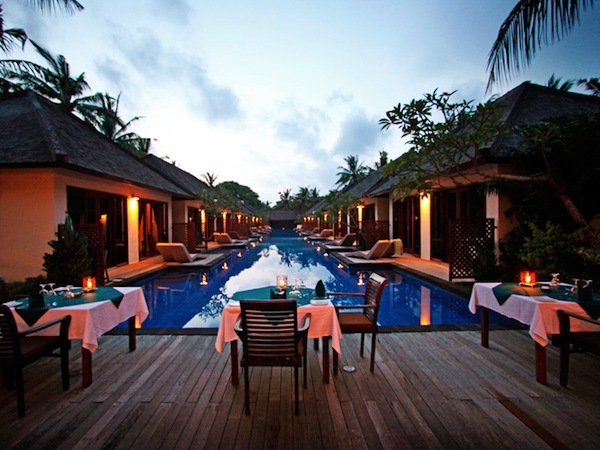 You’ll want to do little else but relax on a beach chair and savour local and international cuisine at the restaurant. Hotels in Gili Trawangan, while slightly dated and sun-bleached, are well maintained and offer groups and families fantastic value, usually in the form of a quintessential buffet breakfast spread (included in the room rate). Rates start from US$60 per night in low season, and they usually offer great value holiday packages which include fast boat tickets and even airport transfers in Bali and Lombok. We’ve wandered away from Gili T’s main strip. Now let’s come back to a hotel, restaurant and spa that’s so delightfully charming, you won’t mind being in the middle of the action at all. Watch over the crowds from your private terrace, or skip outside and get involved. The dainty island decor reminds us of a scene from a James Bond film..
Perched on the shores of Turtle Beach, Dejavu hotel is eclectically decorated while still retaining an island vibe. Whitewash rooms are brightly accented with splashes of colour. What you get: lots of space, polished concrete outdoor showers, excellent comfort and superb value. 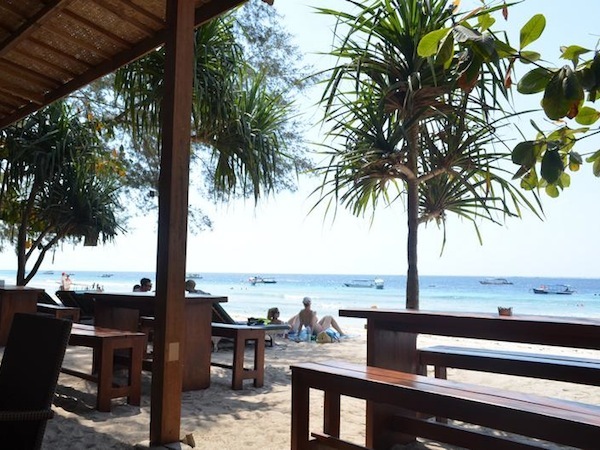 Looking for accommodation in Gili Trawangan that’s low-key and easy on the pocket? Casus Dream Hotel is a no-frills hotel that comes with a pool, a beach bar and lots of island attitude. It’s chilled without being sloppy. 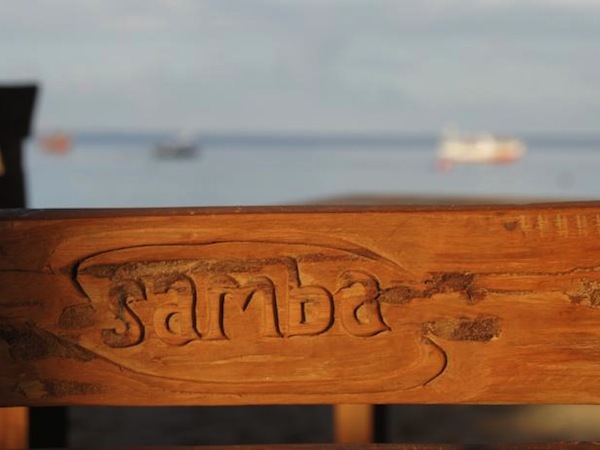 Pretty much the kinda place you can hang loose, interact with the locals and take it easy. Located away from the crowds on sprawling grounds facing a private beachfront, Hotel Ombak Sunset is a great choice for families and groups. It’s not the most modernly decorated hotel in Gili Trawangan, but the rooms and suites are ultra spacious and the bathrooms are appointed with bathtubs, because we know there are some travellers who won’t miss an afternoon soak. 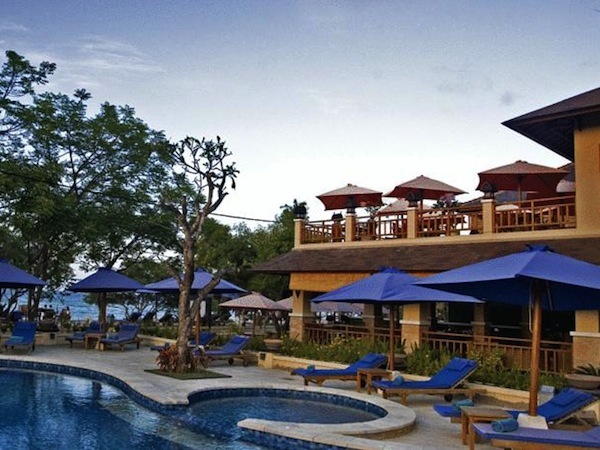 Hotel Ombak Sunset also offers excellent package deals for wedding parties and corporate events. 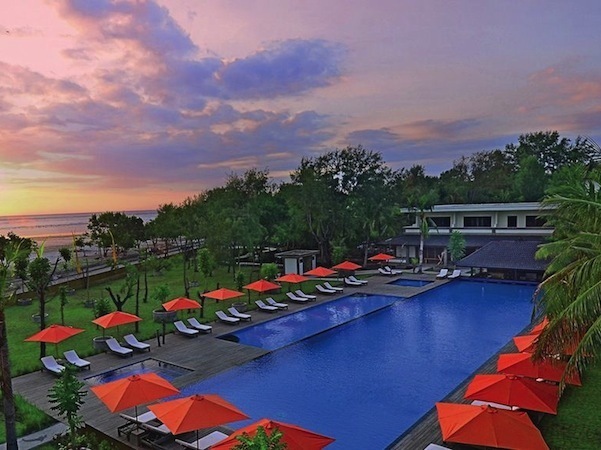 An old-school island hotel that’s well maintained and boasts a large swimming pool and spacious grounds. 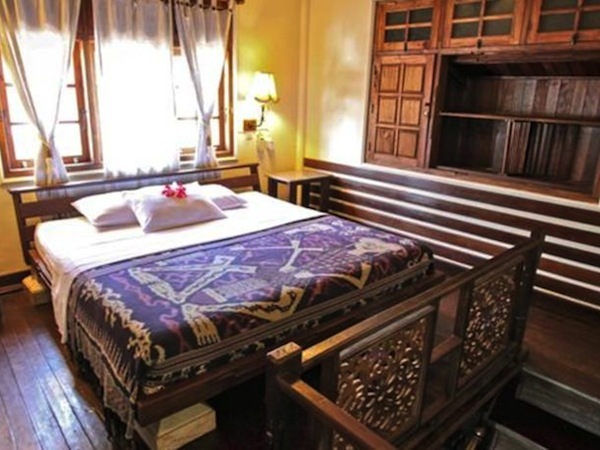 Rooms are split between two levels in a traditional style house, and finished with wooden floors and hand carved beams. Certainly a place with charm, character and a healthy degree of eccentricity. Martas Hotel, Gili Trawangan. Visit their website at www.martasgili.com for bookings and information. Located in a quiet and convenient location, right on the beach, this resort is designed with the bamboo touches and minimalist tropical style. 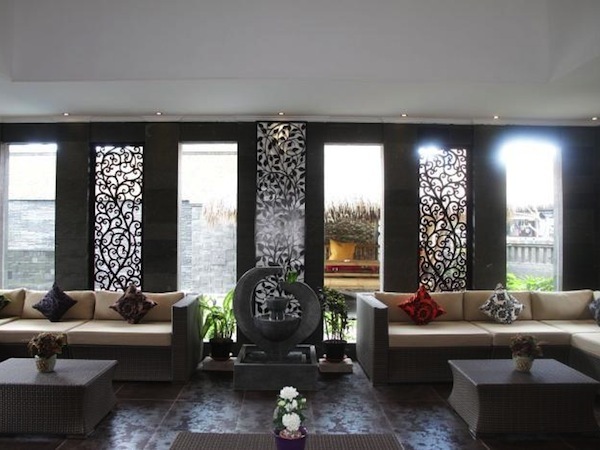 All rooms are furnished with Balinese décor, and include a private terrace with sliding glass doors. It’s the sort of modern resort you’d expect to find in Bali than in the Gilis, but we know.. not everyone is up for sleeping in a rustic bungalow or old school beach resort. Some just prefer a modern resort. An intimate resort that offers the creature comforts of home, and impeccable service. Located on the tranquil northeast of the island and across the best snorkeling and sunbathing beach in Gili Trawangan, you’ll feel right at home here. Did we mention the sweeping views of the other Gili islands and Lombok’s Mount Rinjani? Simply divine, and all for less than US$85 a night in low season. 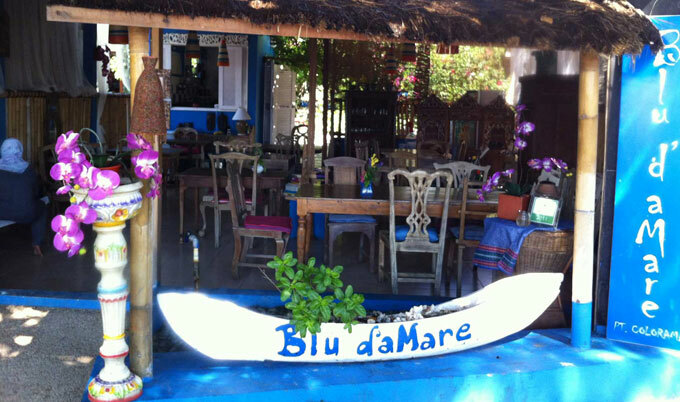 Blu d’aMare boasts arguably the best Italian restaurant in Gili Trawangan. If you won’t have your pasta any other way than aldente, then you can count on these guys to serve the best plates of Italian favourites every time. It’s an island hot spot, so if you’re looking for a great spot to sunbath, eat well and socialise, then you’ll love this place. Two boutique bungalows, tucked away from the main beach road and just a 2-minute walk from white sandy beaches are calling you. Experience the natural charm of Gili Trawangan in a delightful and laid back setting that’s served with a personal touch. Low season rates start from just IDR580,000, which is a real steal. Calling all kayaking enthusiasts. Karma Kayak Bungalows is Gili Trawangan’s go-to kayaking centre. Day trips start from €20, and their bungalows are well priced at €35 to €60 per night. What you get: Excellent bungalows in the north, thoughtfully designed in a fantastic location, prime sunset vistas and imaginative tapas. Get your paddles ready! 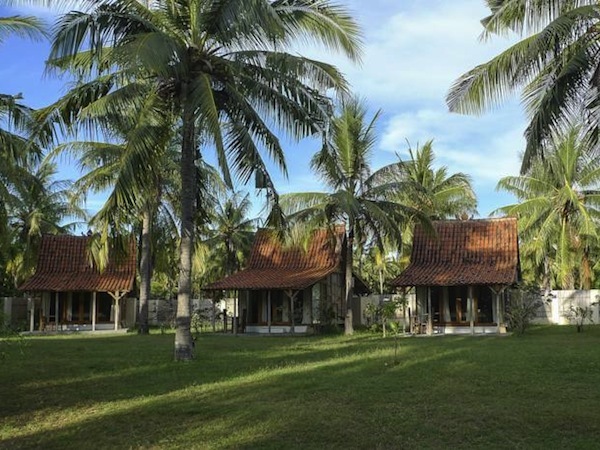 Nestled in acres of coconut grove near the centre of Gili Trawangan, Coconut Garden Resort is the perfect place to hide away or as a base to explore the island and discover the wide range of activities available on Gili Trawangan. The resort is set away from the rowdy antics of island life yet just 800 metres from the main hub of shops, restaurants and bars on the east coast. You’ll find the more desolate west side of the island just 500 metres away. Spitting distance from the beach, this independently owned and operated resort in Gili Trawangan is situated just a 10-minute walk to the island’s main bars and restaurants. Opened in 2009, it features four deluxe cottages set in a tropical garden with all the island comforts you could ask for. Rent all four rooms if you’re travelling in a large group and have the whole resort all to yourself. 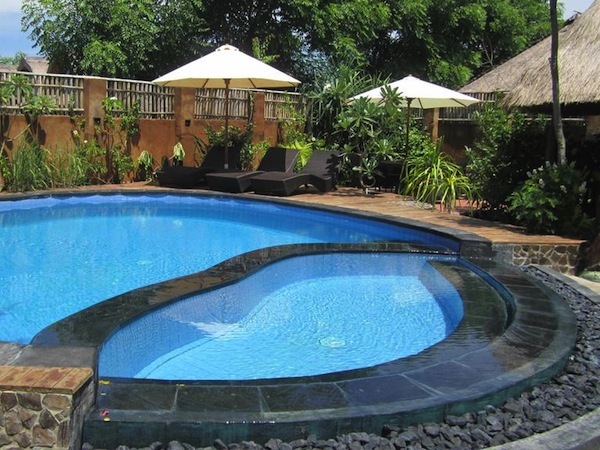 Nirwana Guesthouse & Villa is a family owned and run guesthouse that offers a similar level of accommodation and service to a hotel, for the price of a bungalow. The staff here is known to go above and beyond to deliver impeccable service, and guests rave about the quality breakfast. A neat little spot to sleep and wake up to in paradise. 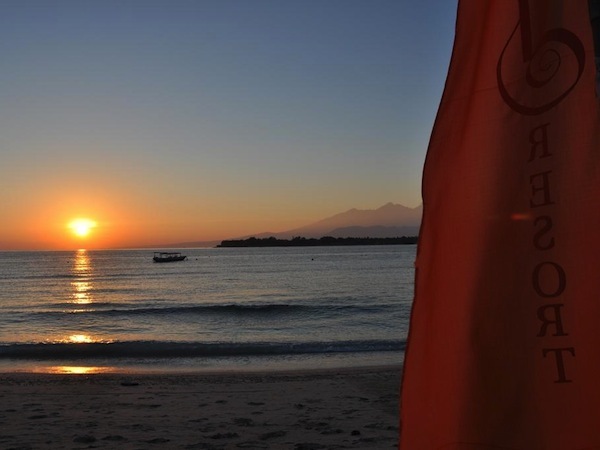 Situated just a short walk south of the jetty in Gili Trawangan is a friendly, laid back resort. The bungalows and rooms are set back from the restaurant, with their own private balcony where you can chill in peace with a good book. The real highlight here however, is their restaurant that serves authentic Indian food and piping hot naan bread. Run by Italians, the resort has eight rooms, furnished in true Balinese style, complete with private terraces that face a swimming pool. Rates vary from €50-100 depending on the time of year and include breakfast. Not the best value on the island, unless you count the priceless Italian hospitality. Looking for a Lumbung style bungalow in Gili Trawangan that has plenty of personality and a reputation to boost? This resort is located just a 5-minute walk from Sunset Point where sunset and sunrise vistas are a rite of passage for any visitor to the island. Just look at that pool. How could you resist? 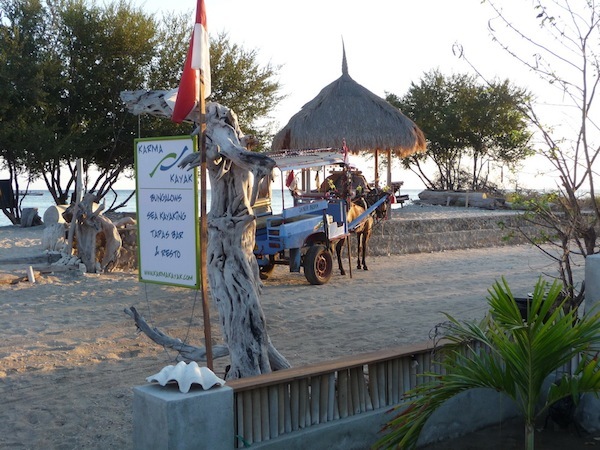 These guys are the pioneer hoteliers in Gili Trawangan. Twenty years on, they’ve built new bungalows and are still accommodation travellers on the shores of this paradise island. Social groups and travellers gravitate to the friendly vibe of the place, so it’s a great place to link up with interesting and eccentric characters, learn about Gili Trawangan’s recent history, and have an all around nice time. 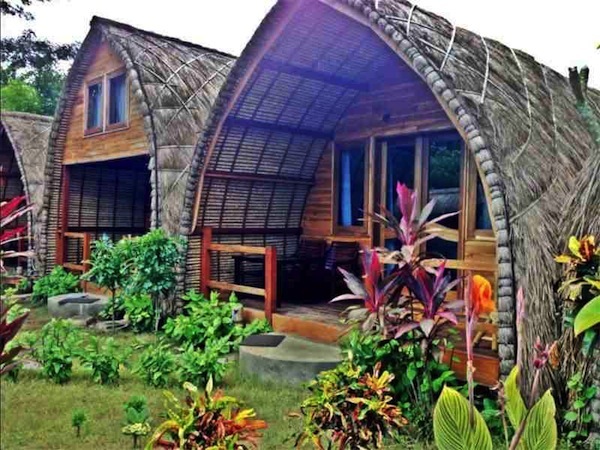 Rustic, basic and utterly charming, these Lumbung style cottages capture the essence of traditional island living. 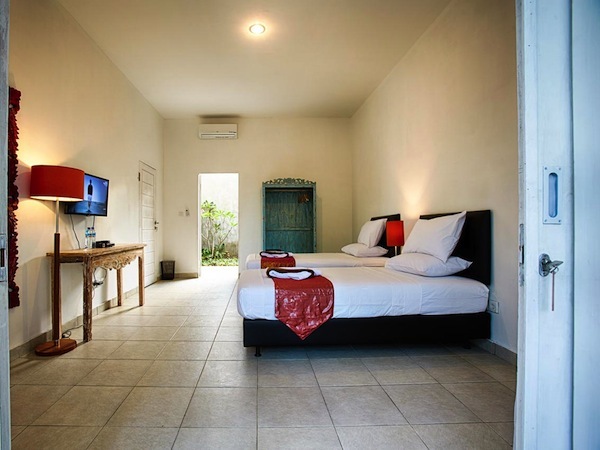 Wake up to a complimentary breakfast and they’ll even take care of your laundry while you’re out exploring the island in the day, plus you can expect to come home to a hot shower and a cool air conditioned room. You really don’t need much else in paradise. Located just a few meters from the ocean, with a private beach, relaxation areas overlooking the garden and a brilliant pool, this beach resort takes pride in providing the very best island resort experience. 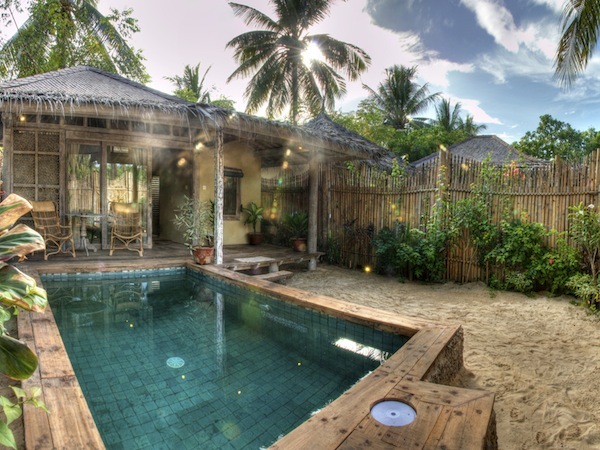 From the natural cottages made from coconut wood and alang alang roofs to their beach club facilities, we have to say, we wish we were there right now! Still can’t decide? Not to worry. We’ve got a few more tricks up our sleeve. 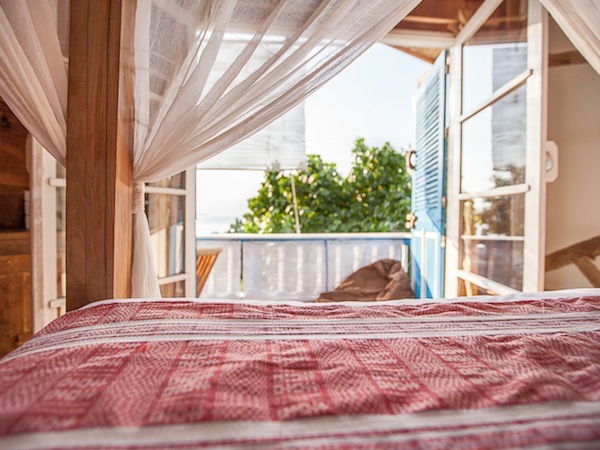 Check out these 8 AirBnB island stays under US$75 and Gili Trawangan’s top 5 villa resorts. The Gili islands really is paradise on earth. The beaches are incredible and everything is near and convenient.